Download gapps 6.0.1 for marshmallow zip these gapps 6.0.1 also works for Cm13 aka CyanogenMod 13 we also included Google apps or Gappss 5.1.1 for an android lollipop.All the direct download links are given below and all the gapps 6.0 and gapps 5.1 are flashable zip files that you can flash it through any custom recovery.So download Gapps 6.0 or Gapps 6.0.1 cm 13 for Android Marshmallow. If you are running on Android Marshmallow 6.0/ 6.1 on any custom roms like Cm13 or AOSPbased on Android Marshmallow without gapps the Android system is incomplete before if you do not install these Google apps you will not get apps like Gmail, Google play store, Google play music, Google + and many other apps to flash. Now you can install gapps 6.0.1 for marshmallow 6.0.1 on any device.These are the latest working gapps 6.0 and gapps 6.1 downloads it for the direct link given below. These gapps for Android marshmallow 6.0 roms are provided by Opengapps community. This is the recommended package for new devices, includes all Google Apps that come standard on the latest Nexus device. This is the smaller set of Google apps: the most favorite apps, plus extra functionality that is not available from the Play Store. This is another minimal installation but includes the extra functionality that is not available from the Play Store. This is as bare as it can get to get the Google Play functionality. 2.Now reboot your device into recovery. 3.Now select Install Zip from SD card option. 4.Now navigate and select Gapps zip file where you saved it earlier. 5.Now Flash the file in you android phone. 7.You have now successfully installed all Google Apps on Android M 6.0 Marshmallow custom ROM or CM 13 ROM. If you are running on android lollipop 5.1.0 or 5.0.1 on any custom roms like Cm12 or CM12.1 without gapps the android system is incomplete before if you not install these Google apps you will not get apps like Gmail,Google play store, Google play music, Google + and many other apps to.You are today I will guide you in how to installGAPPS(Google apps) in android lollipop 5.1.x or 5.0.1.These Google apps package is compatible with all the roms for Android.There gaaps are compressed in a zip file. there are Six types of Gapps package you can refer to the image to know about all six different types of images. The pico version of PA Gapps for Android 5.0 Lollipop comes with minimum Google applications. These include Google system base, Google Play Store, Google Calendar Sync only, Google Play Services. This version of GApps is intended for the users who don’t like all other Google applications and want the basic ones only. This version of Google GApps is intended for the users who want to use the minimum possible Google GApps having the “Okay Google” and “Google Search” features. Other GApps include Google system base, off-line speech files, Google Play Store, Google Calendar Sync and of-course, Google Play Services. Intended for legacy devices having small partitions. This package included applications like Google system base, off-line speech files, Google Play Store, Google Exchange Services, Face Unlock, Google Calender, Gmail, Google Text-to-speech, Google Now Launcher, Google Search and Google Play Services. This package is similar to the stock Google GApps. 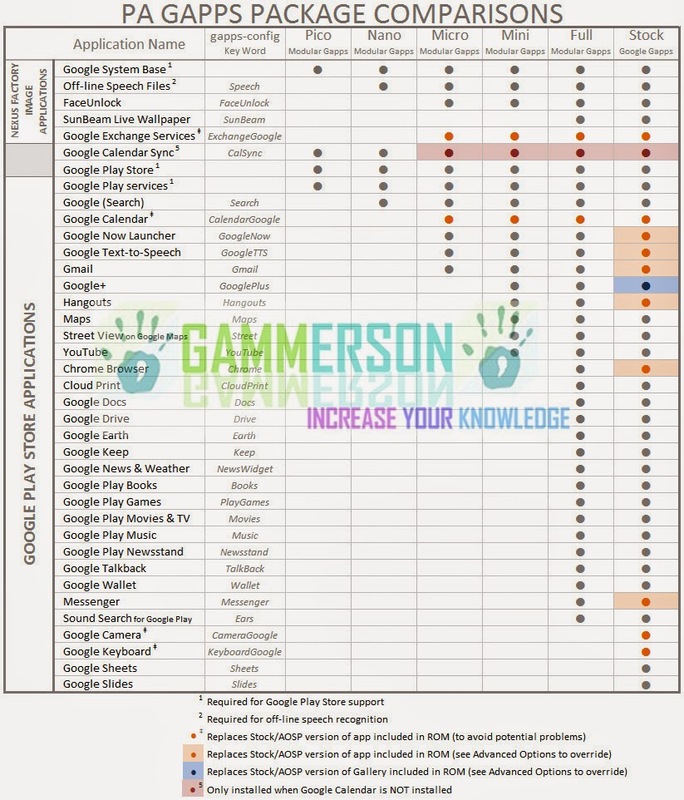 It only misses Google Camera, Google Keyboard, Google Sheets and Google Slides applications while includes almost all other Google GApps. Stock Google GApps package. Includes all Google applications. Intended for the users who do not want to miss any application. 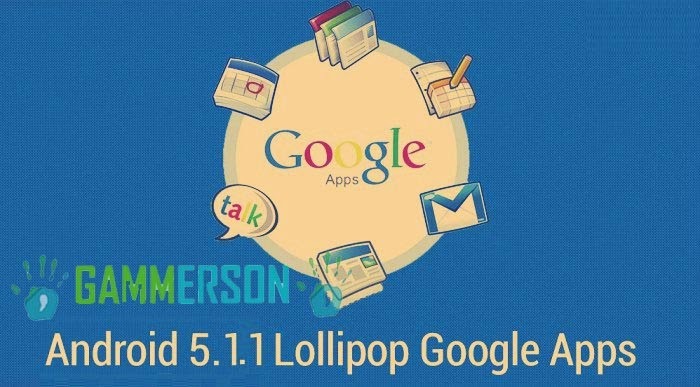 7.You have now successfully installed all Google Apps on Android 5.1.1 custom ROM or CM 12ROM.